The EchoTR2 Series of 2-hand Trout Rods are up-dated for 2017. For you TR fans: (their are a many), you will be glad to know that there are no changes to the blank design in models that existed before the up-grade. All the changes are cosmetic. The finish is the same army green color, but glossy instead of matte. The handles and reel seat are all new. The new design is very graceful, and feels good in the hand. TR's are designed to fit a wide variety of casting styles. Skagit and Scandi styles of casting are all easily accomplished. The Echo 3110 is ALL NEW for 2017. 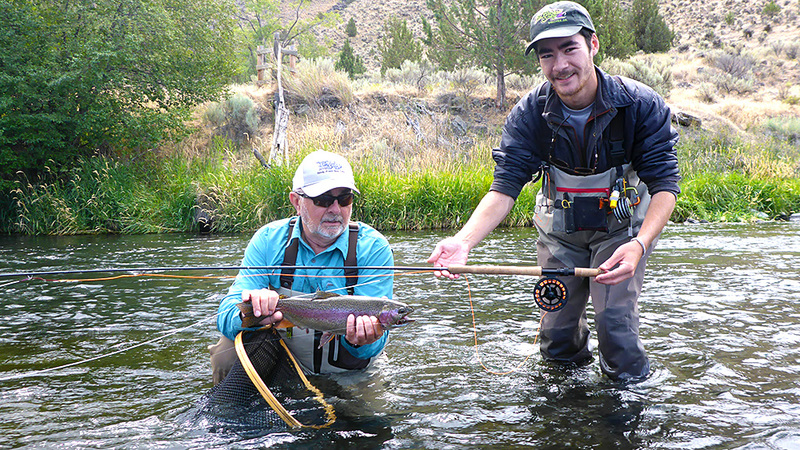 This 11-foot 3-weight rod is the perfect size for trout from one to four pounds in larger rivers. Combined with a 240-grain Scandi, it is great for swinging soft hackles in the surface film. A 275-grain Skagit Max and 9' of T-7 or T-8 is perfect for swinging sculpins & buggers.